Halloween is approaching quickly. And for small businesses, that means it’s time to make plans for your Halloween marketing and promotions. There are many different tactics you can use to show off your holiday spirit and to get your customers involved as well. Below are ideas for some online Halloween marketing ideas. Your logo should always be a recognizable symbol that represents your brand. But during the days and weeks leading up to Halloween, you can add some festive flair to your logo with elements like pumpkins, bats, haunted houses or other popular Halloween images. That way you can show off your Halloween spirit while still keeping the basic design elements of your logo in tact. 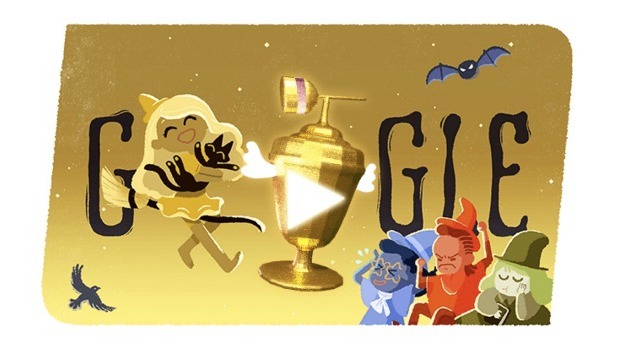 Google, of course, creates specialty logos for many different holidays, including Halloween. The image above is just one example of how brands can add some Halloween elements while still keeping their main logo recognizable. Another idea for Halloween marketing campaigns is to add some Halloween elements to your favicon, which is the little icon that shows up next to your web URL in the address bar of your browser. This is a similar idea to changing up your logo for the season. But you’ll likely need to really simplify things since you don’t have a big space to work with. When marketing at Halloween, you can also add some flair to your online store. With some simple design elements like spooky fonts, spiderwebs in photo corners or even animated features, you can make it really clear to online shoppers that your business is in the Halloween spirit. Another on a list of Halloween marketing ideas is to use your email newsletter to show off your Halloween spirit to customers. Let them know about any Halloween promotions you’re hosting and include an exclusive coupon code or discount offer to encourage them to buy products or visit your business over the holiday. There are tons of opportunities for your business to use Halloween as an excuse to get customers really engaged on social media. On Facebook, you can host a contest where you encourage your customers to submit photos of things like costumes, decorated pumpkins or even Halloween themed food items. And you can offer a free gift or discount code to the winners to encourage even more entries. 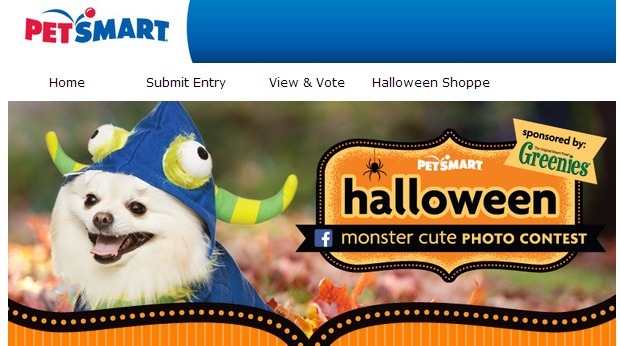 Petsmart is one company that has made the most of this idea for Halloween marketing back in 2013 with its Monster Cute Photo Contest. 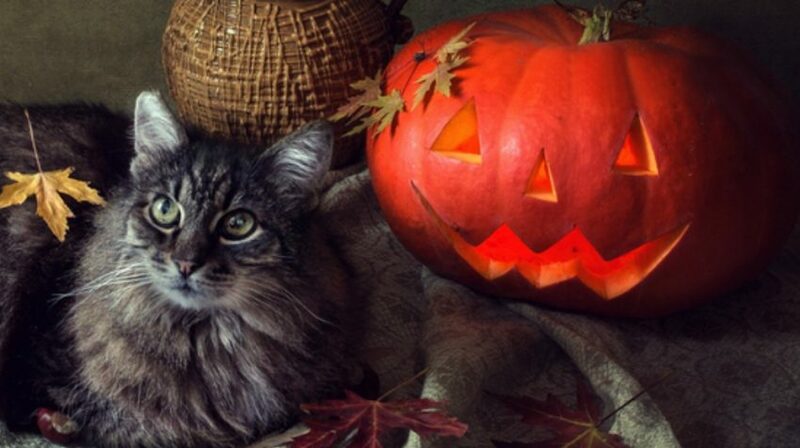 Customers could submit photos of their pets in costume and have their friends vote for them to win prize money. You can also have a discount code or similar offer for customers who show off their Halloween spirit. You can have them submit photos via your website or on social media and then you can send them an exclusive code in exchange. This encourages engagement with your brand and increases the likelihood that they’ll actually shop with you over the Halloween season. On social media, you can encourage people to get involved through the use of a seasonal hashtag. Come up with something that has to do with Halloween and also your brand. Then you can use it to keep track of social content that followers want to share with you, and potentially even use it in other promotions as well. People love a good scare. So you can fill that need with a simple blog post or even a podcast around Halloween. You can make it a really scary story or include some funny elements as well. 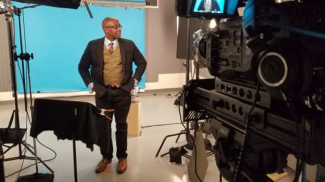 You might be able to relate the story to your business or industry in some way. But if it doesn’t relate directly, you can still provide some entertainment to your audience so they have a positive interaction with your brand and have an excuse to visit your website every Halloween. YouTube and other online video platforms also offer unique opportunities for Halloween promotions. Since people love a good scary story, you can create a quick video that shows off a scary prank or other storyline. 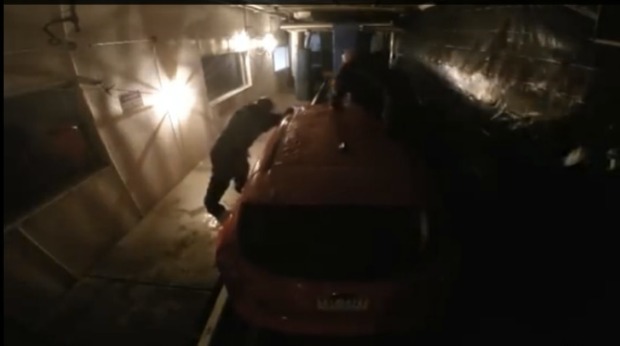 Ford did this a couple of years ago with a haunted car wash prank. The video showed off Ford’s actual vehicles while also displaying some spooky imagery and a funny prank. When it comes to the names of your products, you can also get a little creative by adding some Halloween themed spirit. For example, if you have red products in your online store, you can change the name to “blood red” for the day. Little touches like that can just make your store even more festive. They add emphasis to your Halloween marketing campaigns. You can also team up with other businesses to get people shopping and give away free gifts as part of an online trick-or-treat promotion. You can promote other businesses to your email list and social media followers and have them do the same for you. Then create a graphic or other promotional materials to show customers what each store or business is giving away to customers on Halloween. Even if you can’t have an official trick-or-treat event, you can still get into the spirit by including small treats or themed gifts with customer purchases on or around Halloween. They’re much more likely to remember the experience of shopping with you favorably. It’s a great way to get shoppers to remember you from your marketing at Halloween. And no Halloween experience would be complete without a haunted house. You don’t need to go all out, but a few spooky touches and decorations in your store, and maybe even a well-timed jump or two, can help everyone get into the spirit. 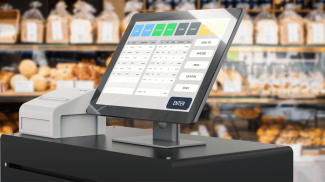 And you can even share the experience online on live streaming platforms or in a video to show it off to your online customers.